Get your groove on and inject some excitement into your life with swing dance classes that require no previous dance experience. This energetic social dance, one of the most popular dances in the world, can be enjoyed by everyone. 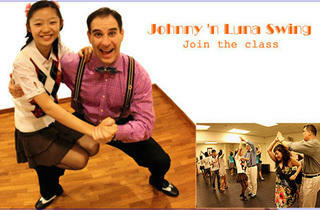 For eight weeks, immerse yourself in beginner or intermediate swing dance classes for $130. New classes begin every month. So put on your dancing shoes and get ready for a swingin' good time. Beginner Swing Dance Classes, every Monday 7.15pm-8.15pm. Intermediate Swing Dance Classes, every Monday 8.15pm-9.15pm.